Random Acts of Flyness is an American 30 minute scripted comedy television series, which kicked off on August 4, 2018, on HBO and is broadcast every Saturday at 12:00. The show is currently in its 1st season. HBO has officially confirmed the renewal of Random Acts of Flyness for Season 2. The exact release date is yet to be announced so far. Sign up to track it down. Random Acts of Flyness from artist Terence Nance (An Oversimplification of Her Beauty) explores evergreen cultural idioms such as patriarchy, white supremacy and sensuality from a new, thought-provoking perspective. Following early critical raves, HBO has renewed the late-night series RANDOM ACTS OF FLYNESS for a second season, it was announced today by Nina Rosenstein, executive vice president, HBO Programming. 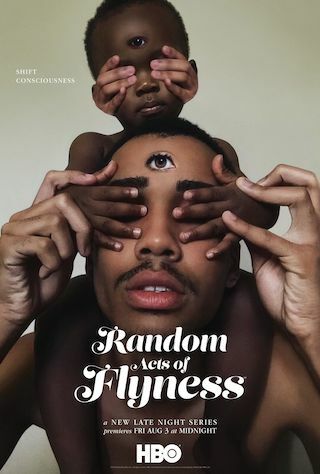 A fluid, stream-of-consciousness response to the contemporary American mediascape, RANDOM ACTS OF FLYNESS features a handful of interconnected vignettes in each episode, showcasing an ensemble cast of emerging and established talent. The show is a mix of vérité documentary, musical performances, surrealist melodrama and humorous animation. Nance and his collaborators weave together such themes as ancestral trauma, history, death, the singularity, romance and more, creating a television show like nothing seen before.